He has calculated the effect sizes of every teaching technique from outlining to project-based learning, which often tempts people to believe the strategies with low effect sizes don’t work and the ones with large effect sizes do. But Hattie -- who is director of the Melbourne Educational Research Institute at the University of Melbourne -- is the first to disavow this interpretation of his work. Instead, he and colleague Gregory Donoghue have developed a model of learning that proposes why different strategies may be effective at different stages of the learning cycle. In a presentation at Learning and the Brain in San Francisco, Hattie noted that most studies measure academic achievement in very narrow ways, so while some strategies have high effect sizes for producing test results, they may not lead to sustained learning. “We do at the moment privilege surface level learning,” Hattie said. But in their Science of Learning article, “Learning strategies: a synthesis and conceptual model,” Hattie and Donoghue note that the underlying philosophy of the day-to-day activity of many schools indicates that the “purpose of schooling is to equip students with learning strategies, or the skills of learning how to learn.” Hattie is more concerned with this later definition than of the more narrowly defined achievement, which is why he has attempted to come up with a model of learning that takes into account students’ skills and knowledge, learning dispositions and motivation. Hattie thinks of the three inputs students bring to learning as “skill, will, and thrill.” And, while what a student already knows may be one of the most important parts of academic achievement, learning dispositions and motivation are also crucial ingredients and worthy goals in and of themselves. “In fact, if we can increase their sense of love of learning, the thrill, we can increase their sense of self,” Hattie said. In other words, skill, will and thrill, the three inputs students all have, sometimes work in harmony, but even when that doesn’t happen each aspect of a student is worth developing individually, too. Hattie and Donoghue have tried to take everything they have learned through meta analyses to understand why some strategies that educators swear by, like project-based learning, have low effect sizes in the literature. In their paper and discussions of this proposed model it can seem like a linear progression of learning, but Hattie takes pains to point out that this model is only a conjecture and that the processes he’s describing could be happening in cycles within one learning experience. The Science of Learning paper aims to propose the model, but also points out many ways that some of its claims could be further studied. For Hattie, most learning rests on student understanding of the success criteria for a learning task. Hattie calls this a “prelearning phase” because if students don’t understand what it will take to be successful, they often act blindly and without motivation. He says that students who are taught the success criteria are more strategic in their choice of learning strategies, and thus more likely to encounter the thrill of success that will lead to reinvestment in learning. “Too often students may know the learning intention, but do not [know] how the teacher is going to judge their performance, or how the teacher knows when or whether students have been successful,” Hattie and Donoghue write in their article. When students understand how they will be evaluated they can also self-evaluate more effectively, a metacognitive skill that can help students become more independent learners. How students gain initial content knowledge that they can then manipulate has long been a discussion among educators. Some argue students need to learn basic information before they can begin to use it. Others say students will learn information when it is critical to a problem or project they are trying to understand. The Hattie/Donoghue learning model dives into that discussion, describing learning strategies that work best at the surface level, and those that help consolidate surface learning, as well as those that develop deep learning and work to consolidate deep learning. Lastly, Hattie and Donoghue deal with the idea of transfer, which broadly means being able to identify similarities and differences between problems and effectively apply previous learning to new situations. The authors describe surface learning as “studying without much reflecting on either purpose or strategy, learning many ideas without necessarily relating them and memorizing facts and procedures routinely.” They say deep learning is characterized by “seeking meaning, relating and extending ideas, looking for patterns and underlying principles, checking evidence and relating it to conclusions, examining arguments cautiously and critically, and becoming actively interested in course content.” They don’t privilege one kind of learning over the other, but rather say surface and deep learning work together. When students are acquiring their first knowledge about a topic, there are some learning strategies that seem to work regardless of the content area. Organizing, outlining and summarizing information can help students master surface level content. But Hattie says to consolidate that initial learning, “effort and deliberate practice is critical.” At this stage overlearning strategies like practice tests, giving and receiving feedback, and spacing practice out over time are especially helpful. To make consolidation worthwhile the authors stress that practice cannot just be “drill and practice,” but instead must change based on feedback. The point of consolidation is to move the surface knowledge to long-term memory, where it is readily available for future use. 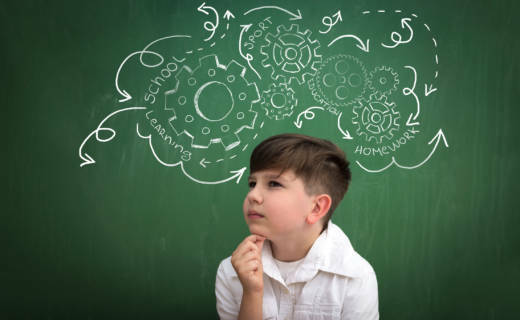 When it comes to acquiring deeper learning, “a major purpose is for the student to deliberately activate prior knowledge and then make relations and extensions beyond what they have learned at the surface phase.” Elaboration, strategy monitoring and metacognitive strategies all have strong effect sizes at this stage and enhance learning. Consolidation of deep learning is when working with others becomes the most powerful, according to this model. Listening to others in discussion and finding ways to connect and extend knowledge are practices that help students realize what they don’t know. Self-questioning and verbalizing, as well as seeking help, are also effective strategies to consolidate deeper learning. But ultimately most teachers and parents want students to learn information and skills so that they can use them in school and life beyond the specific instance when they were taught. The process of transferring knowledge has not been as well studied as other areas, but Hattie said that learning to detect similarities and differences is a key part of making it happen. “After a task, the skill seems to be stopping the student rushing into solving a new problem [by] first asking them to elaborate on the similarities and differences of the two problems (the old and new),” Hattie wrote in an email. “Being more aware of the task constraints/ differences is the key to being successful in transfer.” Much of Hattie’s thinking on transfer is influenced by research done by Ference Marton, whose work is largely qualitative. Interestingly, the only strategy that seemed to work in all four quadrants (acquiring surface, consolidating surface, acquiring deep, consolidating deep) was the jigsaw activity, which had a large effect size. In a jigsaw activity students are reading new information, discussing it with others who have read the same thing to extend their understanding, and then moving to new groups where they teach peers about what they read and learn new information from group members. For example, when a student is doing a project on a topic of interest, and thus extending knowledge deeper, he may encounter an aspect that he knew nothing about, at which time he may need to gain a surface understanding of that smaller topic in order to continue the project. In other words, the phases Hattie has laid out often overlap and cycle back on one another and should not be taken as a linear process. Far from being a recipe for the “most effective” teaching strategies, this model of learning relies on teachers' professionalism. When teachers can identify where in the learning cycle a student is and suggest some strategies that might work well at that point, she can have a bigger impact. Hattie also advocates talking to students about the stages of learning so kids can begin to use the language and recognize the strategies that work for where they are. Too often students continue to use ineffective strategies because they don’t know others or aren’t aware that the ones they are using aren’t the most effective.